In a small saucepan combine the balsamic vinegar and the honey. Bring to a simmer over medium-high heat, whisking often. Reduce the heat to medium-low and continue to simmer (and whisk) until the balsamic and honey have reduced by 75% and coats the back of a spoon. Let the glaze cool, it should continue to thicken as it cools down in temperature. Meanwhile, using a melon baller, scoop out melon balls and divide into four bowls. 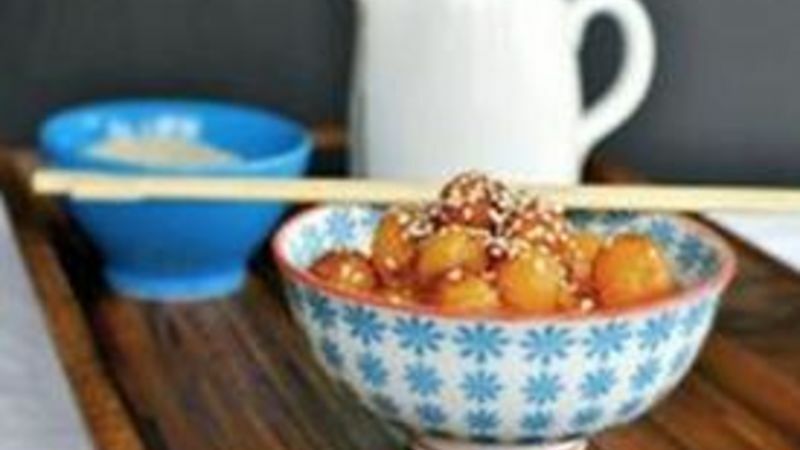 Drizzle with the honey-balsamic glaze and sprinkle with sesame seeds.